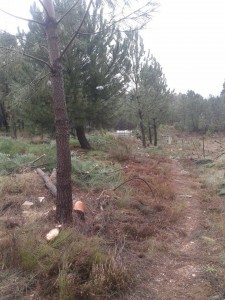 Land clearance is the project of the moment, with the deadline for clearing land next to the road fast approaching. Today’s area to tidy up – the hugel edge next to the road We’d allowed these pines to grow as a privacy screen, but most need to go. 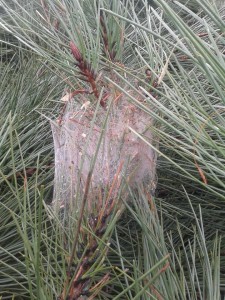 Many of the trees are infested with pine processional caterpillars, a symptom of unhealthy monoculture. They can be harmful to both humans and pets, so care needs to be taken around them. Thankfully ours haven’t started to drop yet, so we’re doing this work just in time. I’ve been burning the pine infested with caterpillar nests. The caterpillars shoot tiny hairs out of their bodies which can cause skin and bronchial problems, so you need to be careful not to be breathing in the smoke. 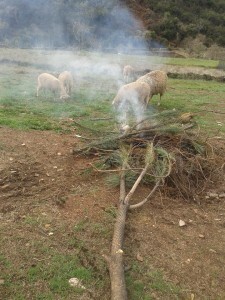 The sheep seemed to be determined to graze as close to the fire as they could. Looking, no doubt, for some new creative ways to die (for those of you who don’t keep sheep, this seems to be their life’s mission). 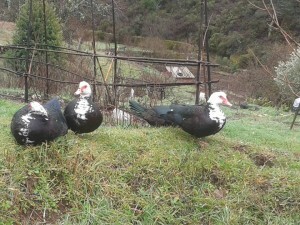 A good day for ducks. Tree feeling means lots of firewood for next year, but what to do with all the branches? As they were still wet and the needles still attached, they didn’t really ‘chip’ in the chipper, but produced this lovely loose course mix. 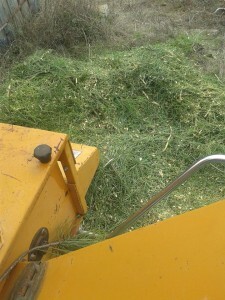 We’ve shredded this directly onto the hugel edge, where most of it can stay as the organic material isn’t very thick in places. 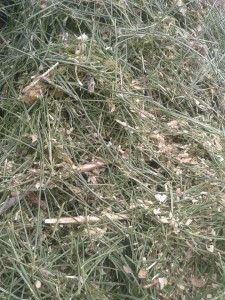 It’ll also make a nice mulch where it’s acidity isn’t a problem, and animal bedding. Lots more work to do!